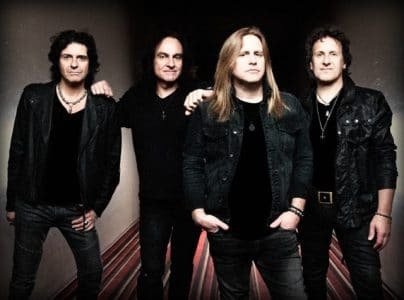 Last In Line consisting of guitarist Vivian Campbell, singer Andrew Freeman, drummer Vinny Appice and bassist Phil Soussan have released a video for their song “Blackout The Sun” from their upcoming sophomore album II, which will be released via Frontiers Music Srl on February 22, 2019. Billboard premiered the video today and interviewed Campbell for the occasion. Subscribe here for more videos – http://radi.al/SubscribeFrontiers | From the album “II”. Get your copy NOW: http://radi.al/LastInLineII Connect with Last In Line: https://www.facebook.com/LastInLine/ https://www.instagram.com/lastinlineofficial/ https://twitter.com/lastinline http://www.lastinlineofficial.com Vivian Campbell, Vinny Appice, Phil Soussan, and Andrew Freeman collectively known as Last in Line, are set to release their second album, “II” via Frontiers Music Srl on February 22, 2019.